Have you experienced Kiwi Campervans? Help others learn about this company by sharing your first-hand information with other road-trippers. 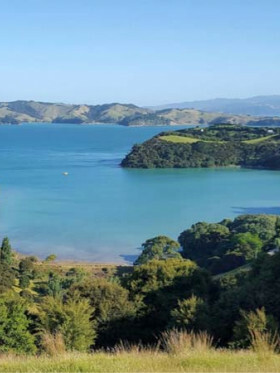 Editor's Review: Kiwi Campervans is a family owned business operating since 1991 whose owners are travellers themselves. They have depots near the airports of Auckland and Christchurch. 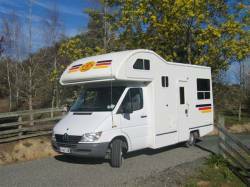 Their campervans are most suitable for families traveling together as they are fully equipped vehicles and designed especially for conditions in New Zealand. At the time of the lastest update to this review, Kiwi Campervans was looking to sell the motorhome business, so double check it is all going before you make too many decisions about your campervan rental road trip. 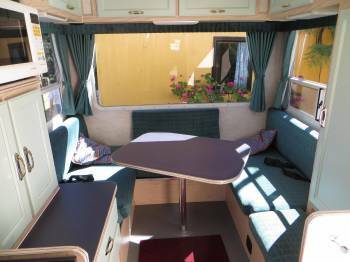 Kiwi Campervans offers personal and professional service. They make sure that their vehicles are to the customers’ satisfaction as it is to theirs. The company can also explain and show to you the services they’re offering in English, Deustch, and Francais. So you don’t have to worry about being lost in translation. It’s also worth mentioning that they offer help in planning your best travel route. 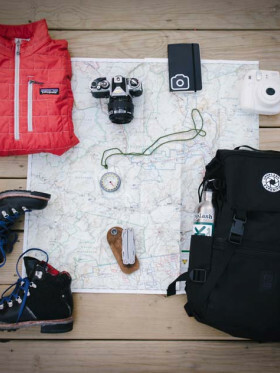 This will greatly help in making sure you get the most out of your trip. 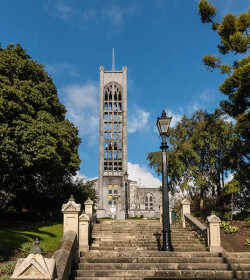 Likewise, they have a depot in Nelson and can include Picton, Blenheim, and Greymouth upon request. The fleet of Kiwi Campervans are 4 berth and 2 berth vehicles. They have only one 4 berth vehicle and two 2 berth vehicles. They can offer both deluxe and budget vehicles so you can follow your budget and still have a wonderful trip. All vehicles have the standard equipment of crockery, cutlery, and kitchenware. They also include beddings, towels, tables and chairs as well as some other facilities without any additional costs. I guess it’s safe to say that this company truly thinks of what can help travelers like you enjoy the trip more by providing the basics without additional costs. If you’re looking for a vehicle that can offer panoramic views, then the 4 berth Motorhome Deluxe is what you’ll need. This vehicle is a Mercedes that has a fuel tank capacity of 68 liters and a consumption of 10-12 liters per 100km with 80W solar panel. The rear panoramic window in its living area offers breathtaking views that you don’t have to strain your neck to see. It also has a permanent double bed above the driver’s cabin but the table and seats in the rear can also form a double bed. This vehicle has four burner LPG gas cooker which means you’ll be able to prepare more dishes saving you cooking time. Air conditioning and heating system is also present. The 2 berth camper with toilet/shower and solar panel is a Fiat Ducato with a fuel tank capacity of 80 liters and a fuel consumption of 10 liters per 100km. It has two day-beds that can be transformed into a double bed. This vehicle has a two-burner gas stove and comes with camping chairs and table. So setting up for your meals or just leisurely sitting outside your camper won’t be a hassle. An air conditioning system and window fly screen is provided to give you comfort and protection from creepy crawlies. 2 berth Hi Top Campervan Budget is perfect for you if you wish to travel and enjoy your trip while sticking to your budget. It has a fuel tank capacity of 60 liters and a fuel consumption of 10 – 12 liters per 100km. Its rear sitting and table can transform into a double bed and its side windows have fly screens as well. You can cook your meals with the two ring LPG cooker that comes with this vehicle. Kiwi Campers requires a bond of $2000 payable by credit card on pickup. LDW insurance is also available and it reduces the insurance excess to $500. The windscreen and tires are not covered in the first $2000 of all claims. However, if the hirer wishes to include the windscreen, it can be covered for an extra $100. Kiwi Campervans has their share of positive and not so good reviews. Some travelers praise this company for their very friendly staffs and well-priced campervans. They likewise appreciated the tourist radio and GPS. On the other hand, some travelers complained of the cushions the campervans offer whilst others have complained about some of the facilities malfunctioning. And then of course there are issues over insurance when an accident happens. It always gets ugly when there’s an accident but I’ll deal with that in a whole other article one day soon. This company has its fans and it’s detractors. It is not overly outstanding in what it offers in fleet options and fleet size and can’t really claim to be New Zealand’s most unique or outstanding campervan hire company. That being said, it is a solid company with acceptable campers and can probably satisfy you campervan rental requirements if you are looking for 2 or 4 berth campers. Have you experienced Kiwi Campervans?